Fill out the form below to get your informational packet and find out more about Liberty University. Please select a valid program. Please select a valid term. Gain a world-class education along with a solid Christian foundation. Develop the values, knowledge, and skills you’ll need for success in life. Our Campus. Your New Home. Join an authentic Christian community where students and professors hold each other to high standards and are genuine in their care for one another. Liberty's campus is vibrant and exciting with more than 14,500 residential students from all 50 states and more than 80 countries. 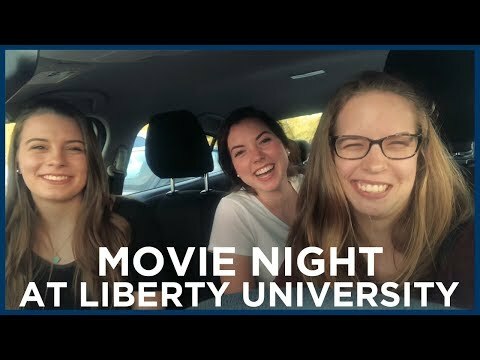 Visit us and experience the unique college life at Liberty University! Experience campus life at Liberty on over 7,000 acres with state-of-the-art facilities that include a Center for Natural Sciences, Center for Music and the Worship Arts, high-rise residential halls, a recreation and fitness center, baseball and softball stadiums, and an astronomical observatory. Located directly behind Arthur S. DeMoss Hall, the Montview Student Union is a 4-story, 168,000-square-foot structure that includes a lounge overlooking the Academic Commons, retail dining venues, an art gallery, a ballroom, and a bowling alley. The building also has space for academics, meetings, and offices. As the primary academic building on campus, Arthur S. DeMoss Hall spans 500,000 square feet over four floors and houses computer labs, classrooms and student resource centers, and a rooftop terrace. The Residential Commons are comprised of three residence halls. The rooms feature a private bath, and every floor provides laundry facilities and a common lounge. Additional residential facilities are also planned for the site. The Center for Natural Sciences houses classrooms, an auditorium, and more than 30 laboratories designed for hands-on learning, including an advanced anatomy lab and a cell culture lab. The facility has more than $2 million in equipment, including a GC mass spectrometer and a gene sequencer. The Center for Music and the Worship Arts features 124 Steinway pianos and 43 teaching studios complete with piano, songwriting, and music computer labs. Additionally, the center includes a 1,600-seat concert hall. It's Time to Get Started. Become a Student Today!